*UPDATE: For a full review of this game’s release, please read Assassins Creed: Rogue – A Stunning Conclusion To The PS3 Years. This year, Assassins Creed developer Ubisoft is spreading the love and releasing two separate games depending on which platform generation you’re playing on. If you’ve already made the upgrade to next Gen (PS4, Xbox One, etc), then you’ll get to return to Assassins Creed’s cityscape roots as it makes the jump to the new platform. But if you’re still playing on last Gen, then you will be treated to the final piece of the Kenway story line – Assassins Creed: Rogue. This isn’t just a remarketed version of Assassins Creed IV: Black Flag, which was quite possibly the best installment in the series yet. Assassins Creed: Rogue takes the best qualities of Black Flag, and moves them up North to the American colonies and icy north. Though this game is much more than just a ‘return of the greats’ in ‘a new frontier’. AC: Rogue will break new ground and allow you to learn how the other half lives as you join and fight for the Templars in a truly immersive and rich story. For those who remember ACIII, the first few missions actually put us in the footsteps of Connor’s father, Templar Master Haytham Kenway. AC: Rogue will begin similarly as we find our protagonist Shay Patrick Cormac fighting with the Assassins. We won’t just be thrust into his story as an ‘Assassin Hunter’. Much like Ubisoft did in Assassins Creed II with Ezio, we will follow Shay on his journey and see how he grows as an Assassin. Though unlike Ezio, we will see what leads Shay to leave the Assassin order. Narrative designer Richard Farrese wouldn’t comment on WHAT exactly happens to him; but he assured us that it would be a very traumatic and glaring event that would take its toll on Shay both mentally and physically. We will live this moment with Shay and realize along with him that something must be done; and that he/we must hunt down those he used to call brothers. Shay’s personality will be very much similar to Edward Kenway when we first met him “a brash young man”. From the get go, Shay doesn’t take his Assassin role seriously; but not because he disagrees with anything of the cause – yet – but because he’s still young and hasn’t achieved a deeper wisdom yet. The line between Templars and Assassins have been blurring in past games, so it’d be interesting to see if this game puts you as an anti-hero or as an actual hero for a just cause. It honestly all comes down to what this ‘event’ was in Shay’s life. The Assassin Order has changed quite a bit over the years. We never met the Early Colonial Assassin Order aside from their brief interactions with Edward and Adewale in Black Flag and Freedom Cry. Perhaps there was something fundamentally wrong with their evolved creed. We’ll have to see how the game plays out. If you think this game will be exactly like past games with only a change in ‘team name’, you’re wrong. 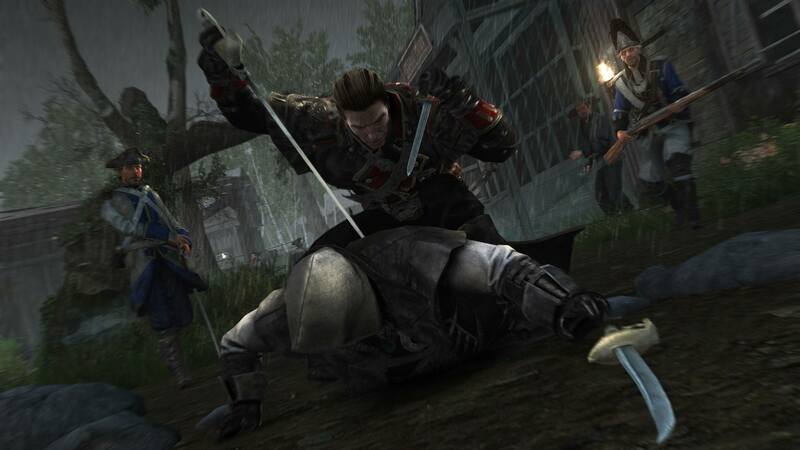 The Assassins and Templars have very different means and methods, and fight very different battles. Whereas many of the Assassins Creed elements you’ve grown accustomed to will return, you will be experiencing these elements from the other side of the battlefield. 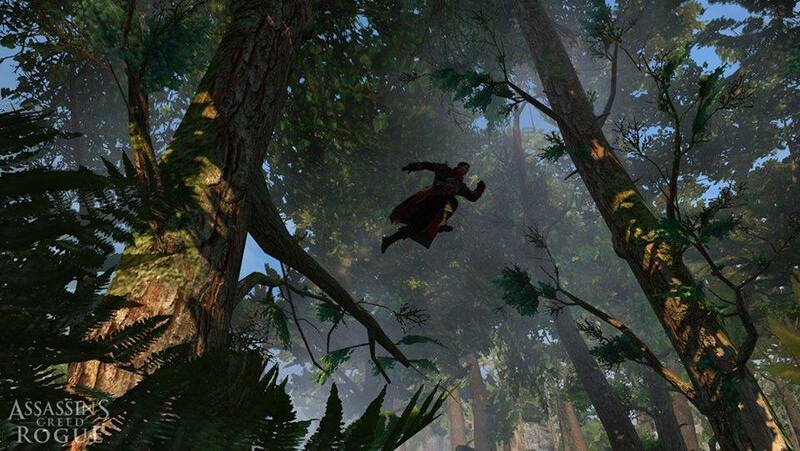 Whether capturing Templar Dens in Assassins Creed: Brotherhood or liberating plantations in Assassins Creed: Freedom Cry, ‘settlement capture’ missions have become a staple in the Assassins Creed franchise. These capture-style missions will indeed return to Assassins Creed: Rogue; but instead of freeing these settlements, you will be bringing them under Templar control. Though don’t think that means you are oppressing these people. The Templars don’t like freedom because they see it as chaos; not because they want to see people oppressed as slaves. A golden cage within which every single human being can live comfortably within the confines of this limited frame. In other words, it’s part of the Templar mission in general to improve the lives of the people around them. This idea fits with what the modern day Templars – Abstergo Industries – and how they are a technical corporation. They might have desires to control people and society, but their means have lead to stunning advancements in technology and standards of living. Another staple of Assassin Creed games have been the “Assassination Contract” that you receive from pigeon coops. Though these pigeon coops have never exactly been well hidden. So what if a Templar found one of those contracts? That is exactly what happens in Assassins Creed: Rogue’s new “Assassination Interception” game mechanic, where you’ll intercept a contract and rush to stop the Assassin before he reaches the assigned Templar. Much like the next-Gen Assassins Creed: Unity, there will be no multiplayer for Assassins Creed: Rogue; but the game will actually take many of those elements and make them single player. Since you are an Assassins turned Templar you will be both hunter and hunted, which means you will not only hunt down your targets but have to keep an ever watchful eye on your surroundings. Much like in the multiplayer games, you will hear whispers whenever a stalking assassin is nearby. You will also have a compass ring that wont only alert you to targets; but will turn red to indicate a serious threat nearby. Let’s face it, your former Brotherhood won’t go down without a fight. Anything that you were used to doing in past games can be used against you here. Air Assassinations, Stealth Kills and hiding spots can all be used against you. As you can see in the gameplay footage below, enemies will even use smoke bombs and explosive barrels against you. Even in Naval battles you’ll have to fight off boarding attempts by Assassin and Gang ships; but more on that later. With all these new targets and lurking threats, Shay will need to rely on his former Assassin training to combat his enemy’s tricks and trap. Though luckily, Shay has something the Assassins don’t have: the Templar’s vast wealth, which can reward him with the best weapons and gadgets of the time. Whether actually in use or merely in prototype form, each of his exotic and advanced weapons existed in some shape or form during the time period – but were rarely used due to their high expense. Since you will be facing of against your former allies, stealth and resistance will be your two best allies. The air riffle will be Shay main weapon of choice offering stealthier kills than a pistol while also allowing various types of ammunition like firecracker shots that can distract guards or fracture holes in poison gas barrels. Shay will also be able to equip a bandana to his face in order to protect himself from poison gas and move swiftly through enemy smoke bombs. Unlike in Unity, chain kills will be in full effect for this game. Though if stealth and precision aren’t your style, then you will love Shay’s most destructive weapon, the grenade launcher. This is one of those exotic; yet horribly expensive weapons that wasn’t widely used in early combat; but thanks to his deep pockets Shay has access to it. Don’t expect the range and power of a more modern day grenade laucher; but it will be able to use three kinds of ammunition: sleeping gas, beserker gas, and shrapnel. Though it’s not just Shay’s handheld arsenal that benefits from his new Templar benefactors; but his ship as well. The Morrigan might be smaller than Edward Kenway’s Jackdaw; but is exponentially more maneuverable allowing you to outrun and dodge most opponents’ attacks. 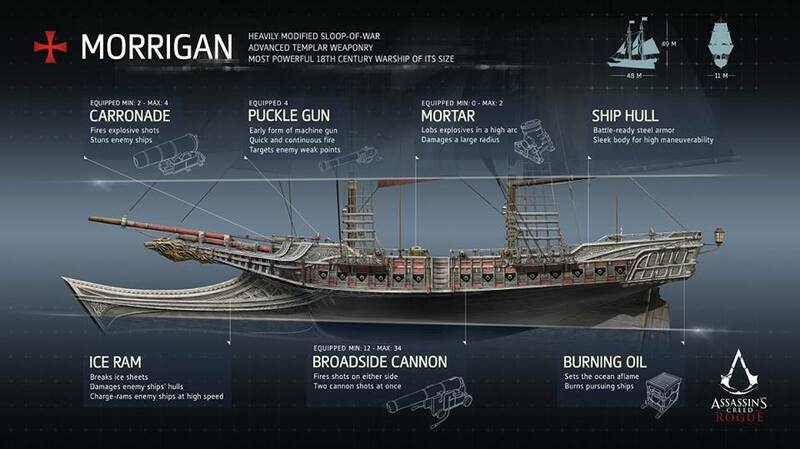 Despite its smaller size, The Morrigan still maintains most of the Jackdaws heavy artillery like the Mortar and broadsides; but it is The Morrigan’s new weapons like the Puckle gun – an early machine gun –, burning oil traps and explosive chase breakers that truly make this ship a ravager of the seas. You’ll be fighting for the Templars , which will be siding with the English during this war, so expect plenty of French ships to try and get in your way. Luckily, if The Morrigan’s advanced weapons and maneuverability weren’t enough, you can always use your surroundings to your advantage. Up north, icebergs can provide cover as well as cause a miniature rouge wave when destroyed. This may seem like a risky attempt; but icebergs can even release cargo and animus fragments so be sure to take your shots effectively. Shay will be able to attack and board ships; but things will get more complicated when he’ll have to risk being boarded himself. As you can see from the footage above, Assassin and Gang ships will try to ram and board The Morrigan. Though whether attacked or attacking, you will have the same options of ‘salvage, lower wanted level and send to fleet’ to later accomplish trade missions to generate income like in Black Flag. Unlike Black Flag, diving missions won’t play much of a part – or at least up North. 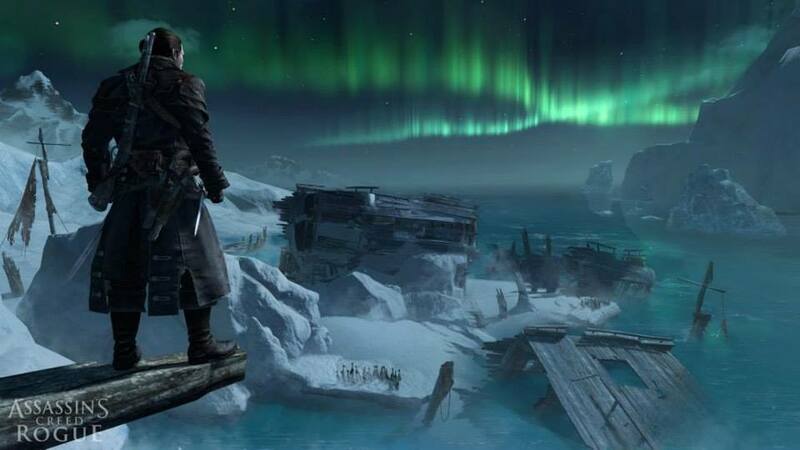 If Shay spends too much time in the icy waters up North, he will begin to lose health – this was originally a game mechanic Ubisoft had wanted to implement in ACIII but decided to hold off and fine tune a little. Though even without diving missions up North, you will still be able to explore shipwrecks that have been frozen into the side of ice cliffs – which you can also see in the above video. Most of these ships are trapped in the much icier and frozen corridors of the northern Atlantic so you’ll have to upgrade The Morrigan with an icebreaker ram before reaching them. Animal hunting will again return with Shay being able to craft new armor and weapons from different animal hides and bones he’ll assemble. As you can assume, since we’ve moved out of the more tropical waters of the Caribbean, we’ll be hunting for more native northern animals including Narwhals, Polar Bears and even Great Auks – a type of long neck penguin that was hunted to extinction in the mid 19th century. One final quick thing to note is that Sea Shanties will return as well – both returning favorites and some new tunes to keep things interesting. As I’ve said before, this game will complete the Kenway trilogy and serve as the bridge between Assassins Creed IV: Black Flag/Freedom Cry and Assassins Creed III, explaining how such a large Assassin presence in the new world dwindled to nothing by time Connor Kenway came about at the time of the America Revolution. This game will be set specifically between 1752 and 1761, placing it during the era of the French and Indian War. As we saw in Assassins Creed III, Haytham Kenway fought in this war and will – as expected – be making a few appearances in the game. As for the present day parallels, Abstergo Challenges will return but we have yet to hear what the present day story will be. Though there is also talk that this game WILL tie in with it’s next-Gen brother Assassins Creed: Unity; but it will only happen in the final moments of Rogue. Whether there is a connection between Shay and Rogue or – more likely – a connection between Rogue and Unity in terms of their present day stories, we’ll have to wait and see. Either way, Assassins Creed: Rogue will bid a fond farewell to last Gen by merging some franchise favorites with some daring and groundbreaking new mechanics and story elements. The only question that remains in my mind is if I’ll try to play both AC games simultaneously or wait for Rogue before playing Unity. Though let’s fact it, if you had to have a problem, this is the problem to have. 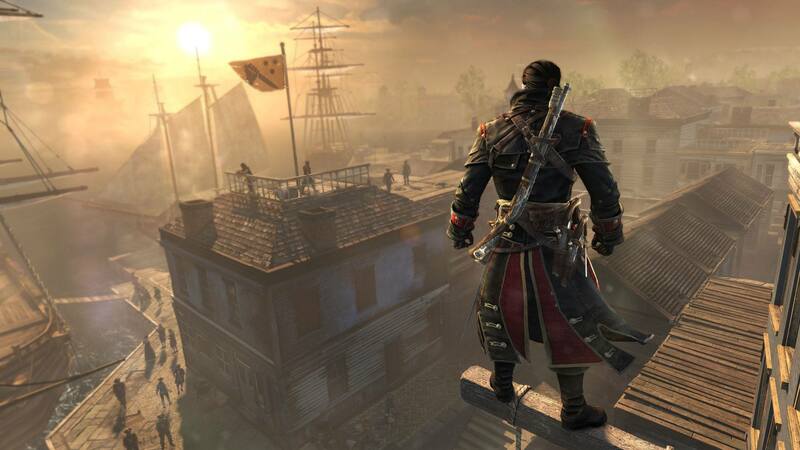 Assassins Creed: Rogue will be available November 11th, to coincide with the release of Assassins Creed: Unity that hits the next-Gen consoles. To learn more about Assassin’s Creed: Unity – Ubisoft’s other Assassin’s Creed game for this year – please check out my Everything You Need To Know article about that title. If you are interested in Pre-Order Bonuses and Special Editions for this game or Assassins Creed: Unity, please check out my Pre-Order Guide to discover which package is best for you. Also, a very special thanks to Access The Animus for many of the photos pictured here as well as some quotes with Ubisoft game directors. If you need help with the full game’s Trophies, Abstergo Challenges and more; please see my Tricks and Tips for AC Rogue article. 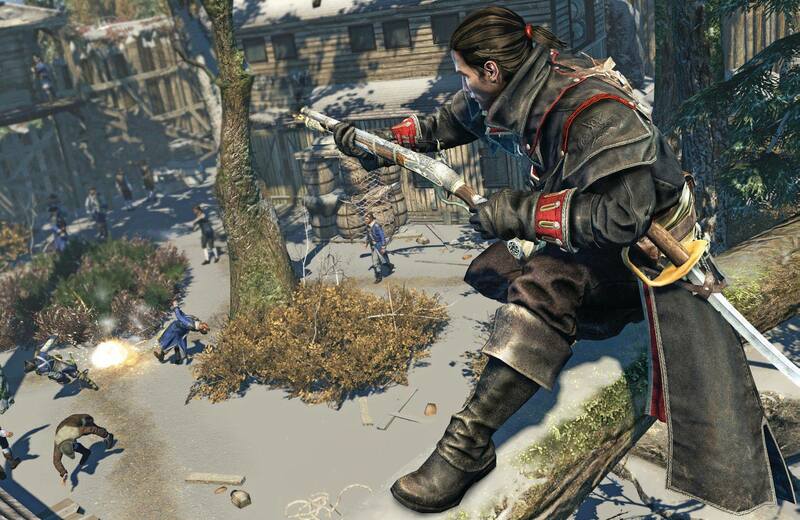 If you need help with the Legendary Battles, please see my AC: Rogue Legendary Battles article. If you need help with Computer Puzzles and Tablet Locations, Click Here for Abstergo Entertainment Help Guide/Locations. ← Pokemon Announces Mega Slowbro – Oh The Humanity!